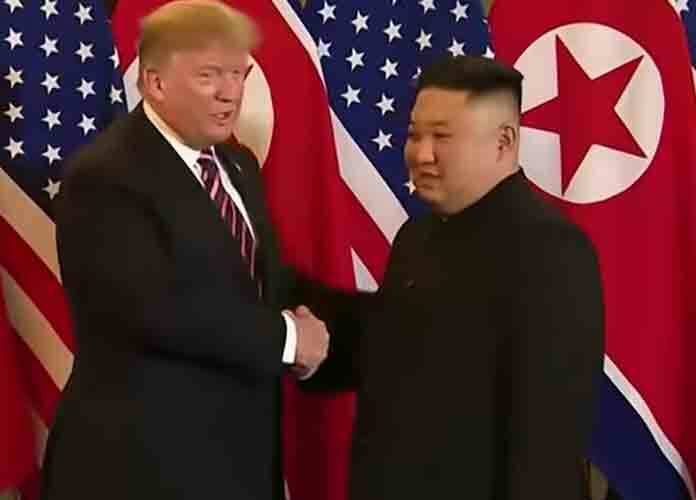 President Donald Trump and North Korean leader Kim Jong-Un‘s second summit in Hanoi, Vietnam on Wednesday failed after negotiations on denuclearization and lifting sanctions collapsed. Trump added Kim had offered to dismantle North Korea’s top nuclear facility if the U.S. eased its strict sanctions on the authoritarian regime. The president stated the deal-breaker was the fact that Kim refused to promise to deconstruct other nuclear programs in North Korea as well. Following Trump and Kim’s first summit in Singapore last June, many news outlets — even conservative channels like Fox News, the president’s frequent supporter — criticized the outcome of the meeting, saying Trump had conceded more to North Korea than he had received in exchange. This week’s summit between the two leaders came just as Trump’s former personal lawyer Michael Cohen testified before lawmakers in Washington, D.C., about the work he performed for the real estate mogul for more than a decade. Cohen at times used documents as evidence to expose Trump as a liar, a “cheat,” a “racist” and a “conman.” The president is still facing several investigations over his 2016 campaign, his 2017 inauguration and his businesses, among other things. Stock markets in Asia reportedly plummeted following the summit between Trump and Kim, while Wall Street futures were also down. South Korean President Moon Jae-In also reportedly said he viewed the outcome of the Trump-Kim summit as a setback, as the country continues to seek the creation of more stable peace with its neighbor North Korea.